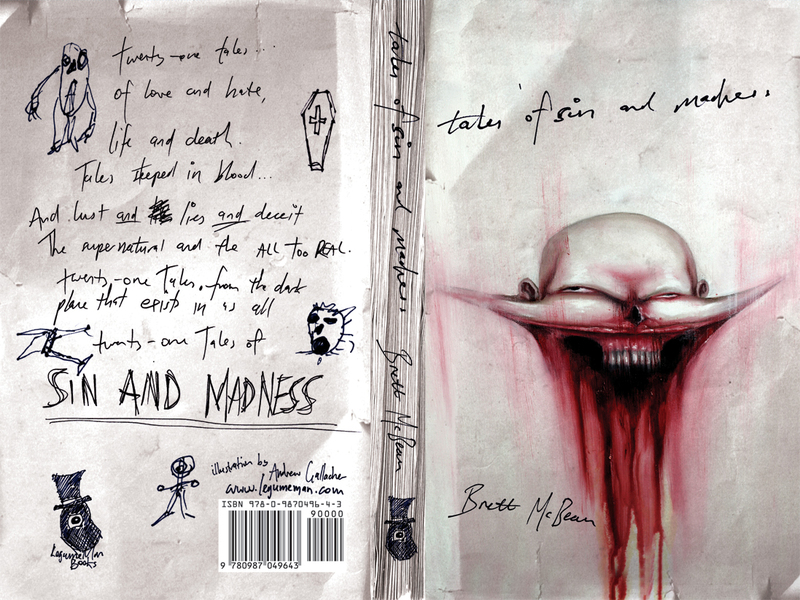 Here’s the jacket for the new edition of my short story collection, Tales of Sin and Madness, coming soon from LegumeMan Books. More details to come. This entry was posted on December 15, 2010 by brettmcbean. It was filed under Writing . Thanks Geoff. I’m thrilled to be working with LegumeMan on this project. Yes, finally an update on Tales. Cover is awsome, can’t wait for this one. Is it just paperback? The new edition will be published as a trade paperback as well as digital.